IT is scientifically established that fruits and vegetables are essential sources of phytonutrients, which promote a range of health benefits. A pioneering study by the World Health Organization (WHO) on diet, nutrition and prevention of chronic diseases has recommended that a daily intake of at least 400 grams of fruits and vegetables helps to prevent diet-related chronic diseases and micronutrient deficiencies. India is one of the largest producers of fruits and vegetables in the world. It is also one of the largest consumer markets, with food and grocery having the largest share in the consumption basket. However, a number of studies show that Indian consumers do not consume the WHO recommended quantity of fruits and vegetables. 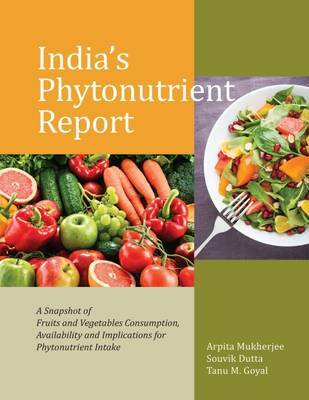 This report, based on secondary information analysis and a survey of 1,001 consumers across different states in India, tries to understand the production and availability of fruits and vegetables, consumption patterns, extent of shortfall in consumption, reasons for shortfall, implications of such shortfall for consumer health and well-being, among others. It also highlights policy issues related to food safety and standards, use of pesticides, organic products, food supply chain, foreign investment in retail, food pricing, and food supplements and nutraceuticals, among others. The uniqueness of the report is that on the one hand, it will enable the businesses to understand the production and supply chain of fruits and vegetables and the policy environment; on the other, they will have a complete knowledge about Indian consumers.